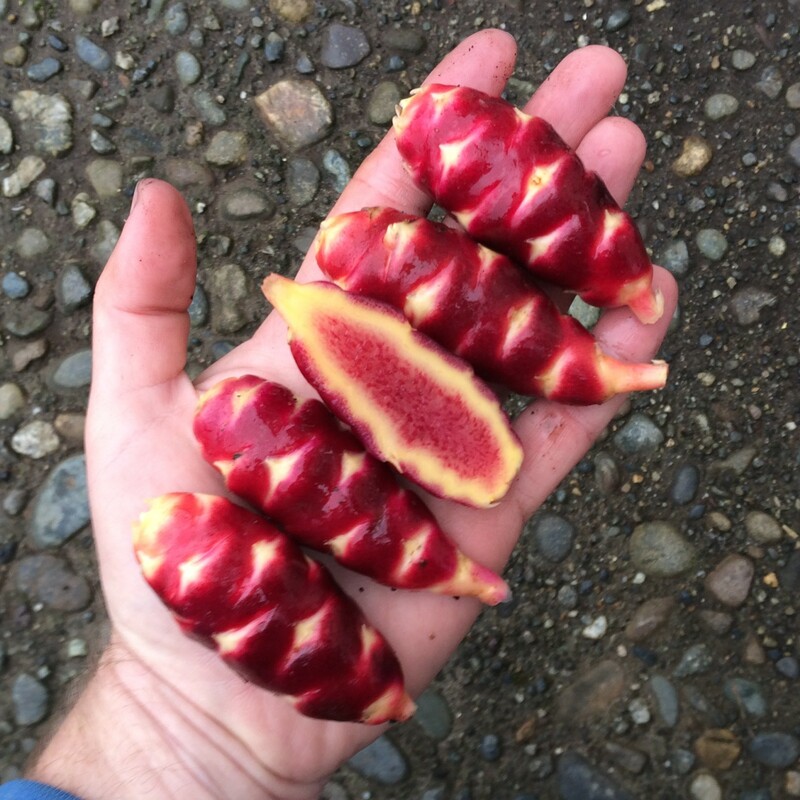 Bolivian Red is presumably a Bolivian heirloom variety, although I don’t know any details about its origin. This variety is notable for its excellent, non-acidic flavor. Also sold under the name ‘Rebo’. Bolivian Red slightly sweet but not tart, a combination that often reminds me of things like squash and sweet potato, although it doesn’t really taste like either one. The cooked texture is soft. Although it loses some color with cooking, it does retain quite a bit of it and remains red. This is a very attractive variety for raw use. When sliced, you get red and yellow discs, which look great in salads. Bolivian Red plants are intermediate in size and sprawl less than many of the larger varieties. 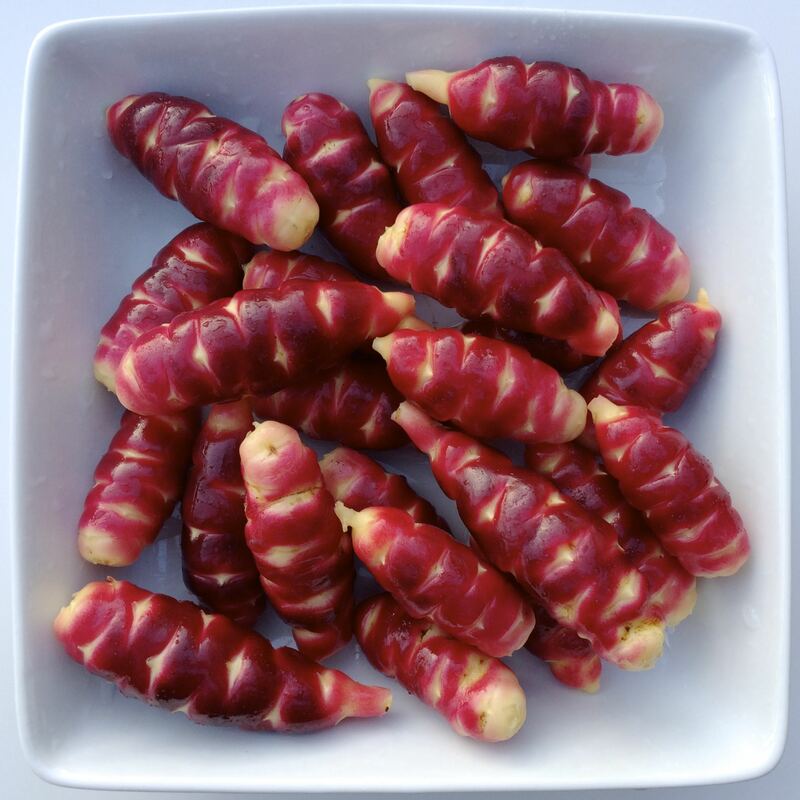 Tubers are produced on stolons of intermediate length and usually do not crowd. Tuberization photoperiod is about 12 hours, the same as most heirloom varieties. Average yield is 1.2 pounds. The maximum tuber length is 4 inches and the average tuber length is 1.5 inches. Average tuber count is 36. 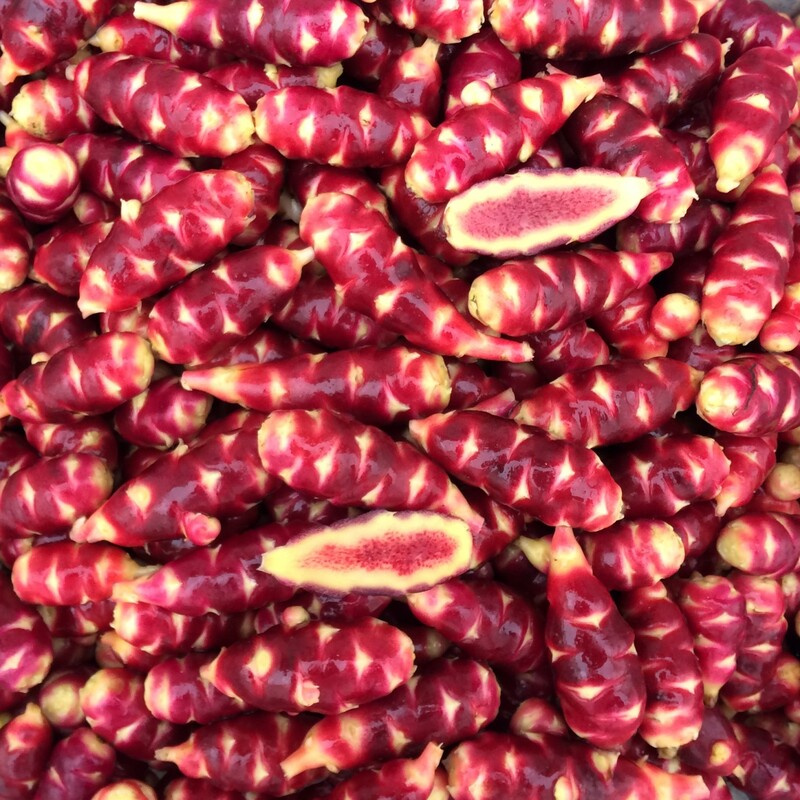 There are about three times as many small tubers as large with this variety. Bolivian Red is a moderate flowerer with a short-styled flower, flowering here from late June through August.